Uganda as a country gets is endowed with abundant rainfall, where most parts receive double maxima. However, the practice of rainwater harvesting has remained minimal partly due to high capital cost for rainwater tanks, inadequate technologies and poor quality of harvested water. Up on this background, ATC carries out research to address the persistent challenges and catalyze practice scale up. 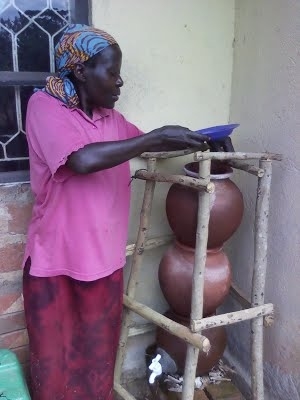 Current research is focused on coming up with an appropriate first flush system which will enhance the quality of harvested rainwater and low cost rainwater harvesting technologies. One such technology that has been research on is the EMAS tank and Pump.